UNESCO has rewarded the diligence of the Asmara Heritage Project (AHP) by inscribing the Eritrean capital to the World Heritage List. In 2001 the government of Eritrea imposed a moratorium on building in Asmara, following public concern over the loss of not only its historic buildings, but what that meant for the country’s collective identity. Since then the city has been meticulously documented by the Asmara Heritage Project (AHP) with the aim of achieving World Heritage status. 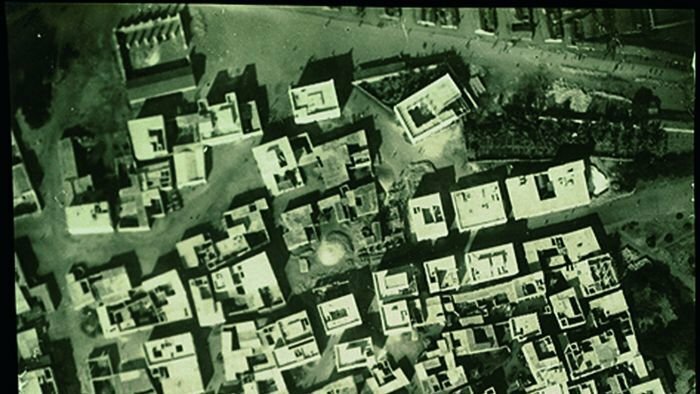 Last year a research paper authored by the team behind Asmara’s bid was awarded the RIBA President’s Medal for Research, something the AHP team believes played a significant part in the city’s inscription. The paper was an overview of the Nomination Dossier submitted to UNESCO on 1 February 2016. The complete three volume UNESCO submission comprised 1,300 pages, a survey of over 4,300 buildings and public spaces, and more than 80,000 scanned archival documents and drawings. The document also proposes updates to the 1938 Building Regulations, Eritrea's first heritage laws, an integrated management plan and a new conservation masterplan. This is a watershed moment not only for Eritrea and its capital but also for the recognition of non-western modernist sites around the world. Both are significantly underrepresented on the World Heritage List, where Italy and Spain possess more cultural sites (86) than the entire continent of Africa (85). Asmara's successful nomination makes an important contribution to highlighting and redressing this imbalance. The documentary process, community engagement and clear development of future laws and plans, have developed into a research methodology that, at the UNESCO meeting, representatives from other African nations expressed interest in adopting. The nomination bid had early support from the Philip and Irene Toll Gage Foundation and the Norwegian and British governments. Ian Richards, the UK ambassador to the Eritrea, hopes that Asmara’s inscription will provide ‘a major cultural and economic boost, as well as helping to develop awareness of a country that is very little known outside its region’. It is a view echoed by Morten Aasland, the former Norwegian ambassador. He highlights the importance of Asmara’s new status, noting that the ‘recognition and the conservation and management plan will help facilitate funding for restoration and preservation, and that this can provide much needed training in skills and craftsmanship and employment opportunities’. The huge dossier was prepared by the multidisciplinary AHP team led by Medhanie Teklemariam, assisted by Dawit Abraha (also of AHP), and Dr Edward Denison from The Bartlett School of Architecture, UCL. The immediate hope now is to establish courses that support the architecture, conservation and urban management needs of the city as the moratorium is lifted and Asmara faces its new future.